I love spoiling my fur babies with treats and toys. 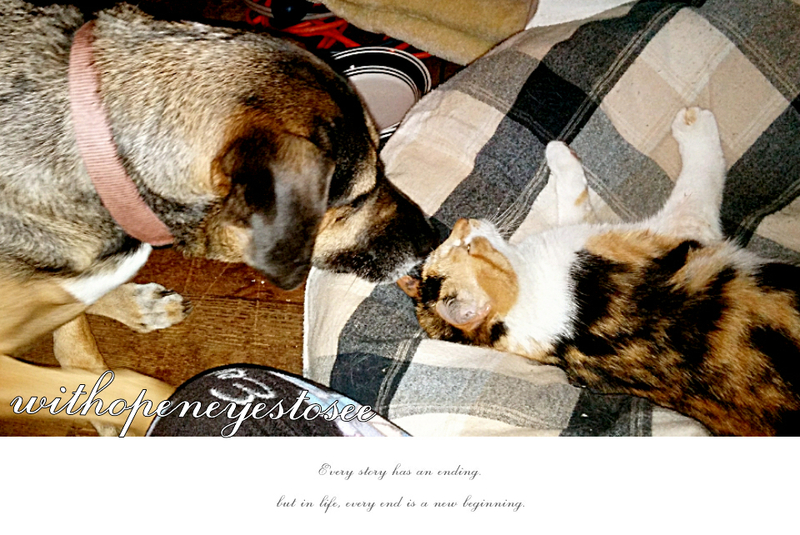 So, when I was given the opportunity to work with Loving Pets, I was ecstatic! I have one dog (Kaia) two cats (Kali and Squeaker) and just this morning we welcomed three new members to our family. 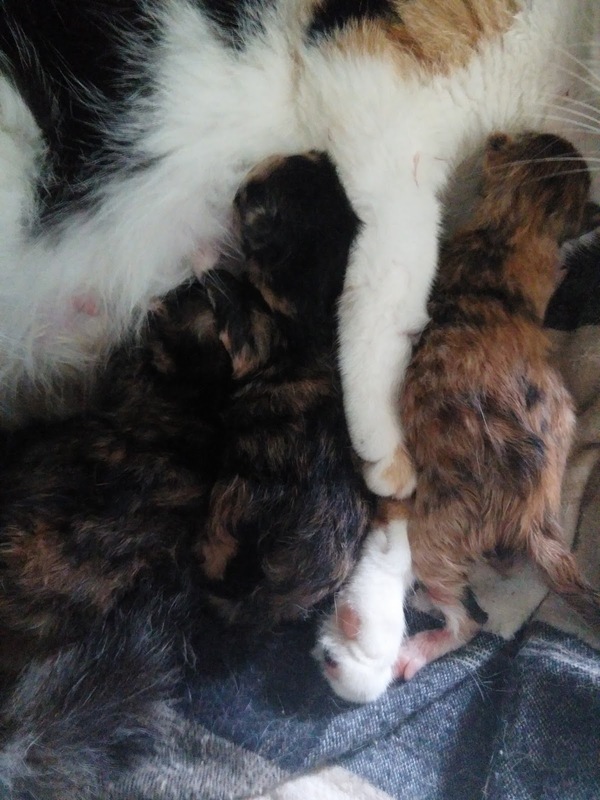 Kali had kittens, all Calico just like their beautiful mother. So now I have even more to love and spoil. 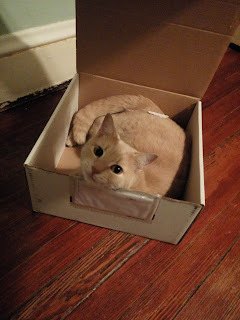 Here is a picture of my other fur baby Squeaker. She is a huge fan of boxes and can be found taking a snooze in them often. Making sure all of my pets are taken care of is my number one priority. Giving them treats for when they have been good or just because I want to say "I love you", is also important. That is where Loving Pets comes in! Not only do they offer a variety of treats for both my cats and my pooch, but the products are also made right here in the USA. 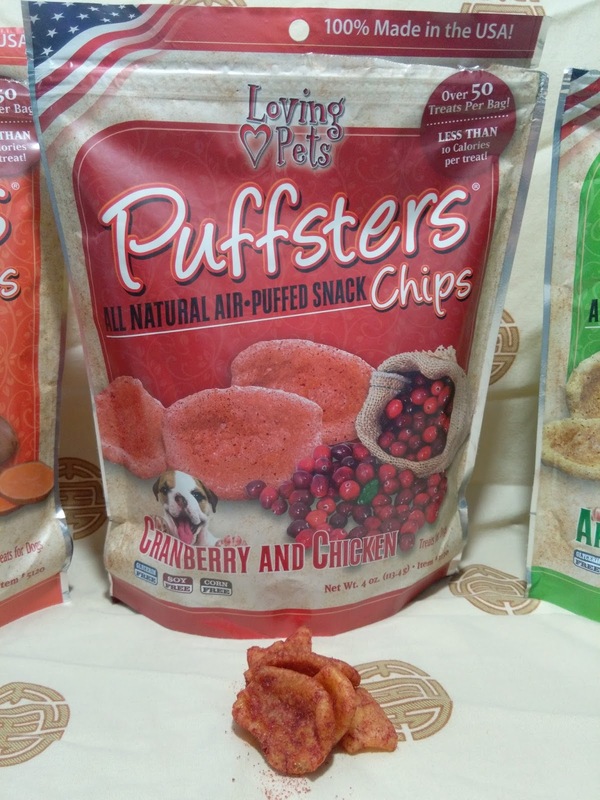 First off, I would like to intorduce the Loving Pets Puffsters® Air-Puffed Snack Chips. 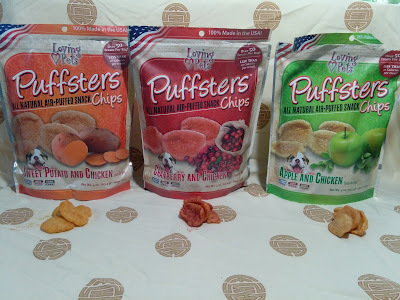 They are available in 4 different flavors; Apple and Chicken Snack Chips, Banana and Chicken, Cranberry and Chicken and Sweet Potato and Chicken. I was able to try out 3 of the delicious flavors for Kaia. She absolutely loves them! 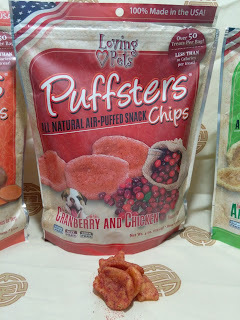 They remind me of pork rhines but for your pet :) Who doesn't love those right?! 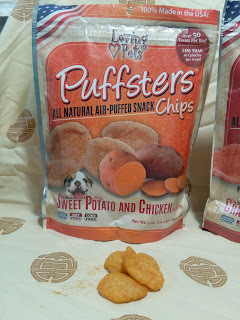 PUFFSTERS® SWEET POTATO & CHICKEN Your pet will crave these crunchy, delicious, guilt-free snack treats. 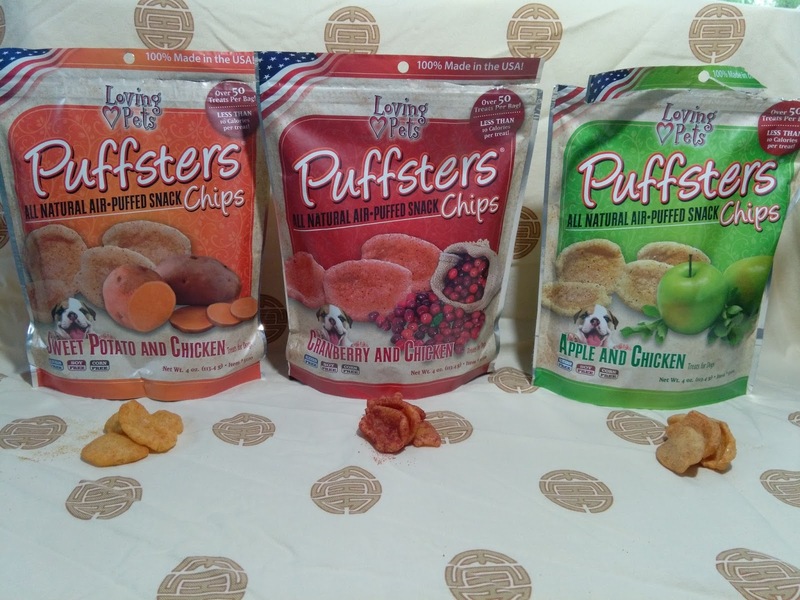 Puffsters are 100% made in the USA. 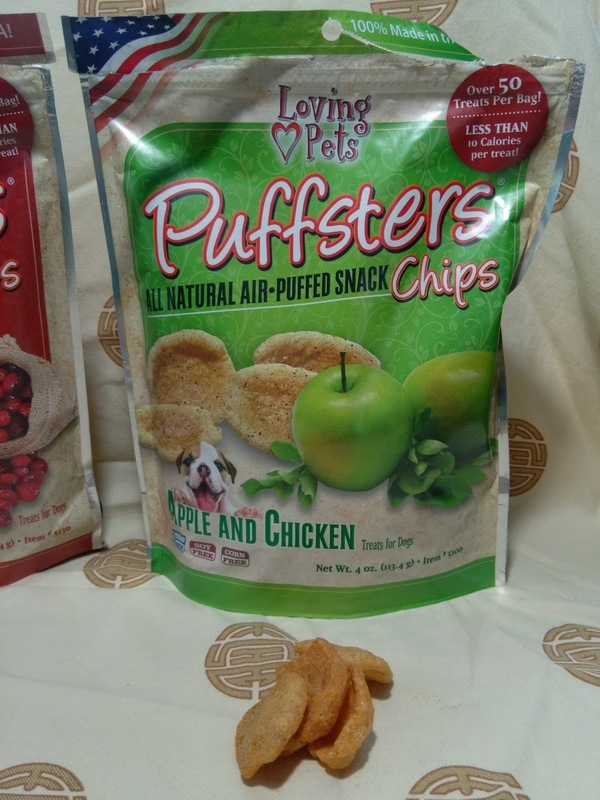 At less than 10 calories per treat,, Puffsters make the perfect training treat or any-time snack. Each bag of Puffsters is foil lined and zipper sealed for freshness, and CONTAINS MORE THAN 50 TREATS PER BAG! 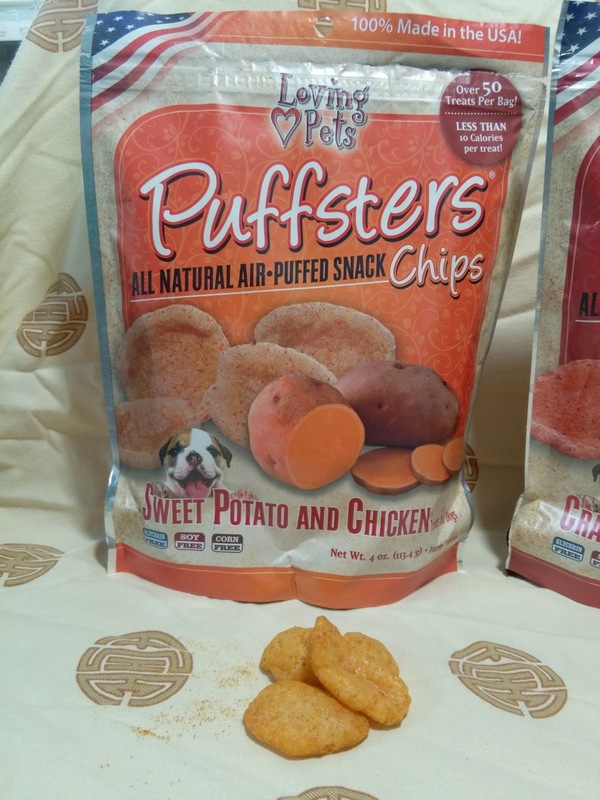 Made using 100% all natural chicken and sweet potato, they will keep your dog fit, healthy and satisfied. Giving Kaia something that she loves and is made with all natural ingredients is the best way I can show her how much I care for her well being. She trusts that "mom knows best"
This bone-shaped double diner features removable, bacteria resistant stainless steel bowls in an extremely durable pebble textured plastic base. The removable skid-free rubber feet help ensure quiet, spill-free dining. 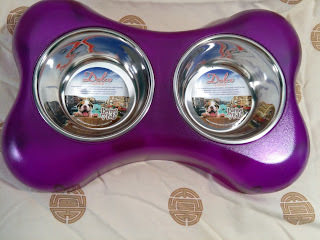 All Dolce Double Diners are dishwasher safe (remove rubber feet first!). So if you are looking for a cool looking, easy to care for, feed bowl for your pets, then Loving Pets has you covered. 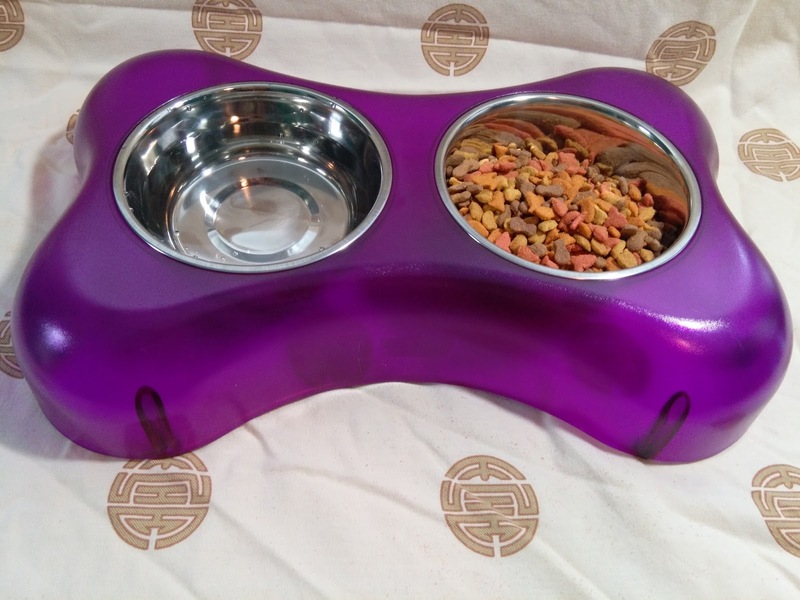 They offer different colors and shapes for both dogs and cats, so you are sure to find the perfect one to fit the character of your fur baby! 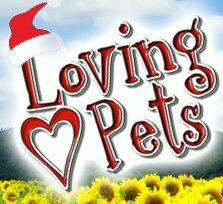 Find a store near you and show your pets you love them by getting them products from Loving Pets! Having a child under the age of 13, I take this information to heart. Keeping my child safe is my number one priority. Everyone needs acknowledgment for their parenting wins, just like we cheer our kids when they score that winning goal. 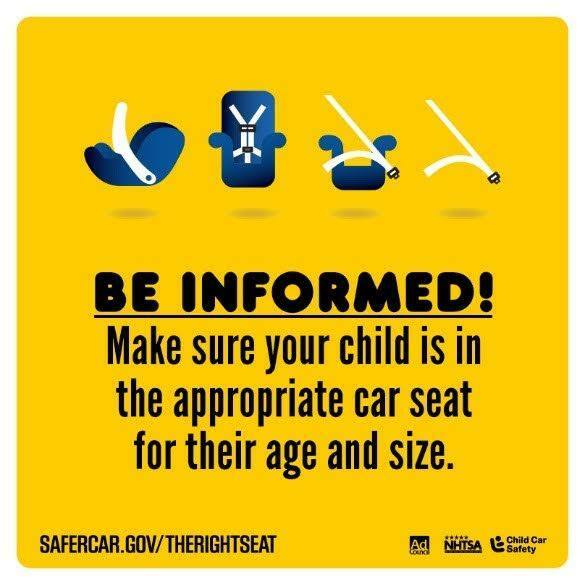 so why not get cheered for finding the right car seat for your child? 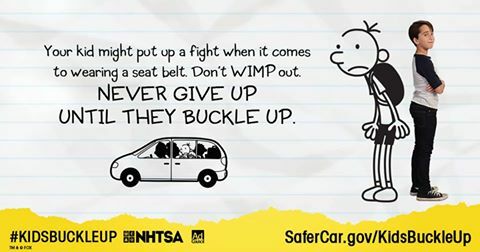 My son absolutely loves Diary of a Whimpy Kid series, and I can help remind him of how important it is to buckle up and ride in the backseat. Just like the characters! 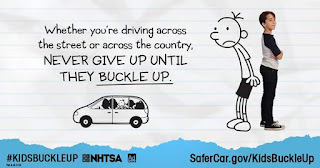 How do you talk to your children about seat belts? My son is stubborn and always wants to sit in the front. He's 11 and thinks he's big enough. I've had to explain how important it is for kids under 15, by law in Virginia, have to be in the back. I also explain to him that sitting in the front, can ultimately be deadly. Thankfully he understands and complies with my wishes. It's become a habit now so I don't worry so much. Making sure his safety belt clicks assures me he will be safe. As a healthcare provider, I am mandated to stop at accident scenes. So I have seen the impact of what not wearing a seatbelt can do. 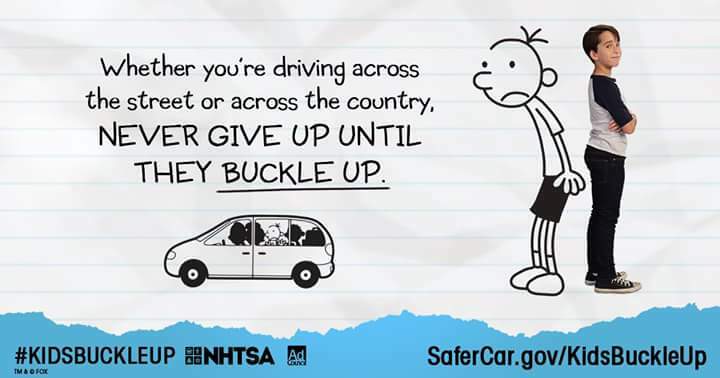 I try very hard to reiterate this to my son all the time. I don't want him to become a statistic. It's easy for me to preach to him how important this is and he definitely takes it to heart. So whenever we get into the car, it's automatic and I don't have to fight him to jump in the back and buckle that belt!